One of the topics we get asked a lot about at OSV is using your company car for personal use. This is because personal use of your vehicle and company car tax are linked, and there are some things you should know about in relation to using your company car for your personal journeys. In this article, we are going to look at what counts as a personal journey for both a car and a van, and how this impacts your company car tax. Do I have to pay company car tax if I use my car for private journeys? If you have a company car and you want to use it for making personal trips then yes, you do have to pay company car tax. Unfortunately, in the eyes of the HMRC, personal journeys include travelling to and from work. It’s frustrating, but those are the rules. So if you want to use your company car to pop to the shops, or to take your kids to school or even to face the morning commute to get to work, then you will have to pay company car tax. Do I have to pay company car tax on my van if I use it for private journeys? 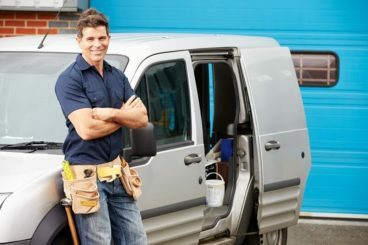 Okay, so we’ve established why you’ll have to pay company car tax on a car, but what about a van? Vans are taxed differently to cars in that they are taxed a fixed amount, that can be altered depending on a variety of factors (we go into more detail about that below). However, the rules regarding private journeys are pretty much the same, though there are some key differences. You do not have to pay company car tax if you only use the van for small, insignificant private journeys. These include dropping the kids off at school on the way to work or stopping off to grab a coffee and a newspaper. If you use your van strictly for those types of journeys, then you don’t have to pay company car tax. Use it to go to the shops on the weekend or to go on holiday with, then you will. How much will I have to pay in company car tax? Mainly though, company car tax is based on how much CO2 your car emits. The higher the CO2 emissions, the higher your company car tax will be. This is how much you will be paying per year in company car tax. 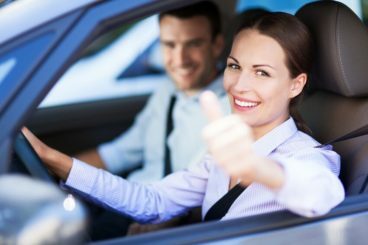 Alternatively, you can head to a website such as comcar or ring a vehicle broker who will be happy to work it out for you. We’ve provided the BIK rates for April 2017 onwards below. Please note that these are valid FROM April 2017. If you would like to see the old BIK rates then you can head to our page on company car tax bands. Company car tax is calculated differently when it’s a van, as it is a fixed rate. This is a rate of £3150, which is then divided by your personal tax band. So, for example, say you are in the 20% tax band then you will be paying 20% of £3150 which is £630 a year or £52.50 a month. However, you can lower this. However, for more information on this, we do recommend you speak to a vehicle broker who will be happy to explain it further. Alternatively, you can read our article on company car tax for vans. Are there exemptions to company car tax? As with everything, there are exceptions to the rule, and company car tax is no different. However, the main way you are going to become exempt from company car tax is is if you stop using your vehicle for private journeys. Instead, you will have to leave your vehicle on work premises overnight and at weekends and only use it for business purposes. Alternatively, you can register your company car as a ‘pool car’. 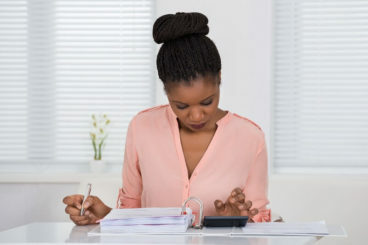 This means it usually stays at the place of work overnight and on weekends and is shared by other employees to carry out business related journeys. For example, transporting employees to meet clients or to go to training days. Another exemption to the rule is if your company vehicle is adapted for motability reasons, in which case you do not have to pay company car tax. However, we understand that this does not apply to everybody. With vans it is pretty much the same, but of course, you can use the van to make insignificant journeys. How do I reduce my company car tax? Honestly, the best way to reduce your company car tax is to get a car that is either cheaper or emits less CO2. You don’t have to do both, of course, but if you want low company car tax then you will need to lower either the emissions or the price. It’s really that simple. Again, you’ll still be paying to use the van so whether that’s worth it is down to you and your employer. So really, the best way to reduce your company car tax for your van is to get an electric van. You can read about our top electric vans here. So hopefully this has given you an insight into using your company car for personal use. 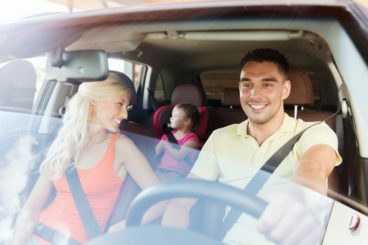 We understand that your company car could double up as a family car and therefore personal use is inevitable, but we also hope that we’ve given you some top tips on how to reduce your company car tax if you are using your car for personal journeys.